We would like to celebrate the publication of Healing Relational Trauma with Attachment-Focused Interventions by Dan Hughes, Kim Golding and Julie Hudson. 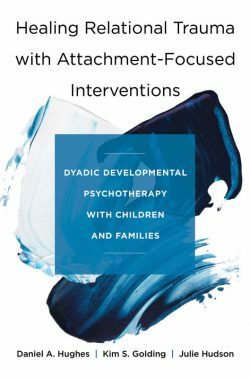 This exceptional book is now the ‘authoritative text’ on Dyadic Developmental Psychotherapy principles and practice, as well as the research and theories surrounding and supporting DDP in the treatment of developmental trauma. It has been added to the DDP Library and is available at all good bookshops, including the publisher W.W. Norton USA. W.W. Norton USA are offering 20% off and free shipping for U.S. based customers when you buy the book via their website with the code DDPPUB at checkout. They are also offering this deal through their Facebook page, although only to certain territories and followers. People in the UK can take advantage of this offer by going to the W.W. Norton UK website and entering the code WN606 at checkout.